Last Friday's service has been called the first of its kind in America. The first Women's Mosque of America held its inaugural prayer service this past Friday in Los Angeles. 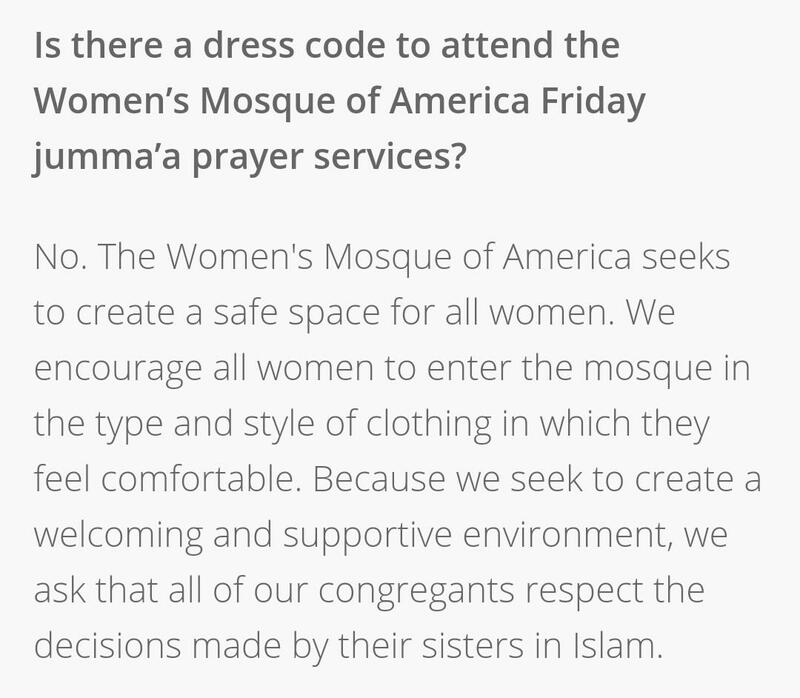 It was reportedly the first all-women jummah service in North America. The mosque aims to provide women-led jummah prayer for "women and children (including boys 12 and under) once a month in Southern California." The mosque came in response to the complaints of many Muslim American women, who often face segregated, poorly maintained prayer areas and limited access to leadership. Prominent voices on the issue include Hind Makki of Side Entrance and the team behind Unmosqued. The mosque was praised on Twitter for its focus on community-building and its open-minded dress code. Others discussed their poor experiences with male leadership at other mosques. Catch me tweeting about the epic @WomensMosque every day. If I had this kind of space growing up in NYC, life would have been a lot easier. And some men came to realize what it meant to feel left out. The mosque, which takes some inspiration from women's mosques in China, is run by co-presidents M. Hasna Maznavi and Sana Muttalib. It currently operates out of an interfaith center. The prayer service and lecture was led by Edina Lekovic of the Muslim Public Affairs Council. Lekovic was also recently featured in a BuzzFeed video in which four women wore hijab for a day. Many of the attendants noted how emotional and moving the prayer service was. Am in tears listening to woman giving azaan at first women's mosque jummah today. Wish Mom was here. So much baraka, sakina &amp; ihsan at #WomensMosque! 1st time in my life I felt my heart soften to tears during a khutba &amp; communal prayer, alh. So much baraka, sakina & ihsan at #WomensMosque! 1st time in my life I felt my heart soften to tears during a khutba & communal prayer, alh. There was a reflection circle after prayer as well. Though there has been only one service at the mosque, there are plans for another in February. The mosque also plans to provide classes and programming with the aim of advancing female leadership and perspectives on Islam. Follow the Women's Mosque of America on Twitter and visit its website for more information on the next prayer service. The founder and co-president of the Women's Mosque of America is M. Hasna Maznavi. Sana Mutallib is co-president. A previous version of this article improperly attributed Maznavi's and Mutallib's names and titles.